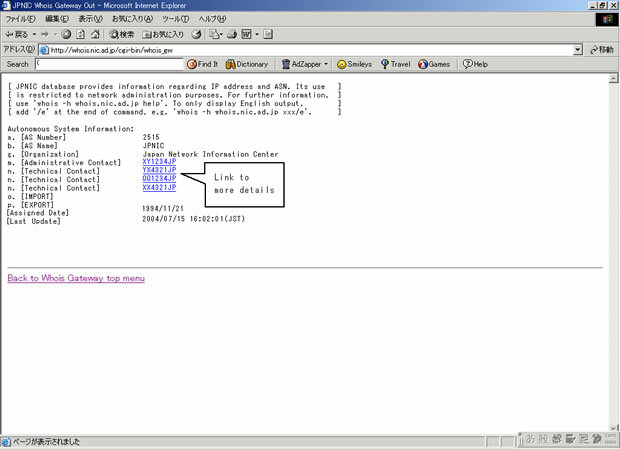 A list of Network Information that includes and covers wider address space than the address space queried. A list of Network Information that includes and covers narrower address space than the address space queried. (*3) [Nameserver] field is displayed only for Network Information for IPv6 allocations. 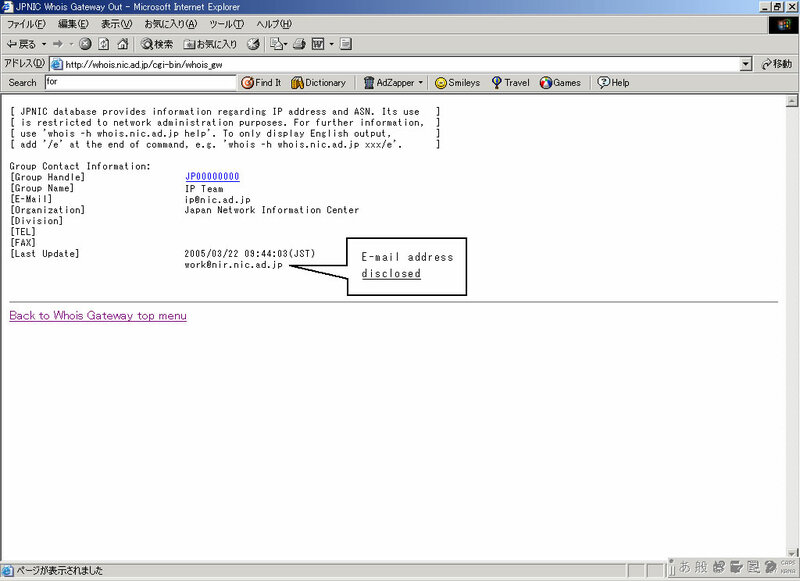 (*4)[Postal Address] field and e-mail address in [Last Update] are hidden from the public WHOIS. 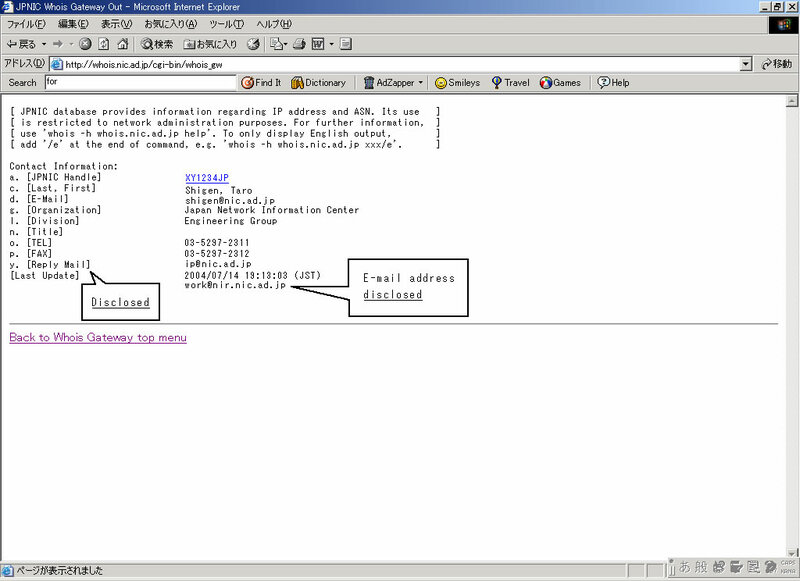 (*3)[Postal Address] ,[Reply Mail]fields, and e-mail address in [Last Update] are hidden from the public WHOIS. 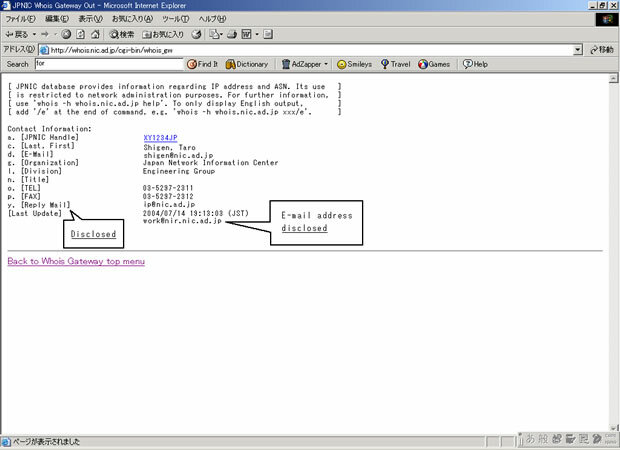 (*1) [Postal Address], [Reply Mail]fields, and e-mail address in [Last Update] are hidden from the public WHOIS. (*1)[Postal Address] field is hidden from the public WHOIS. 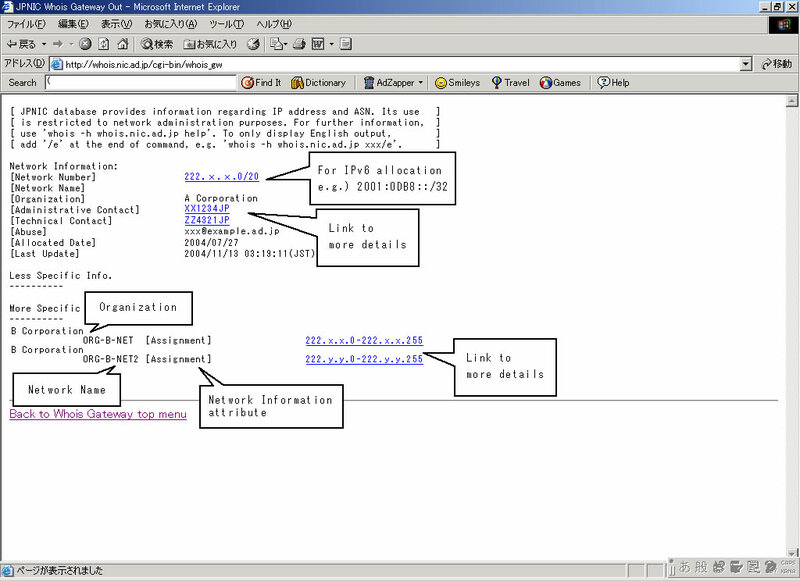 (*2)[Reply Mail] field, and e-mail address in [Last Update] are disclosed. (*3)o. [TEL] and p. [FAX] fields are hidden for [Administrative Contact]. 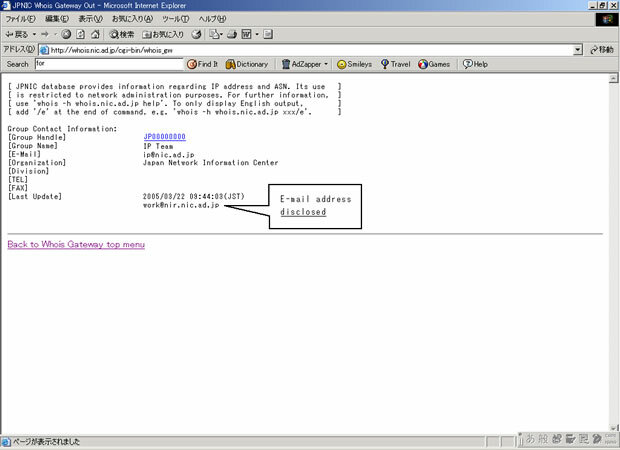 (*1)[Postal Address] and [Reply Mail] fields, are hidden from the public WHOIS. (*2)E-mail address in [Last Update] is disclosed.